Do you ever feel like you are too old to do something? Often that’s so not the case especially in matters of love! Here you will read about a lady who’s 102 years on this planet and she’s fallen in love with a special cat – and it’s mutual. Neither are concerned with how long the other might be around – they just went for it and it’s beautiful. 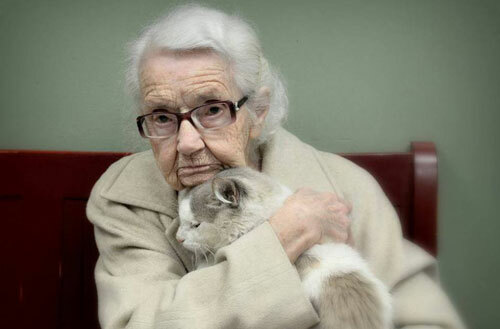 We love that old saying “it’s never too late.” This woman and her cat prove that it’s true. There’s nothing like the love of a furry friend to make one feel young, vital and needed. 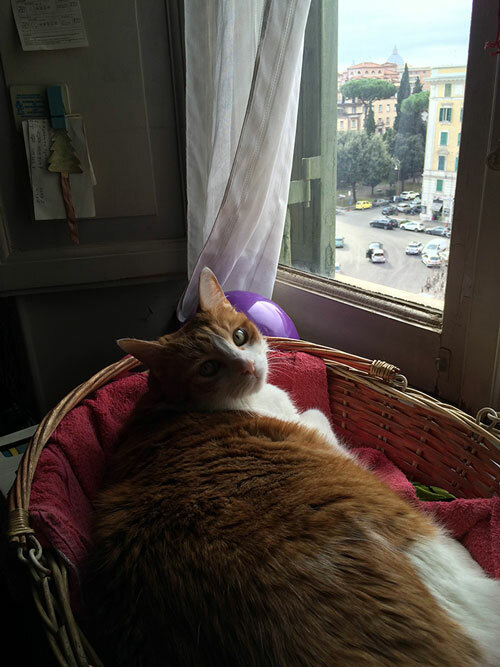 If you ever come to Rome, I’ll take you to visit the Piramide cat colony!!! I’ll look forward to seeing Aka in an upcoming newsletter. This is a question and answer email exchange that we recently had with a customer. 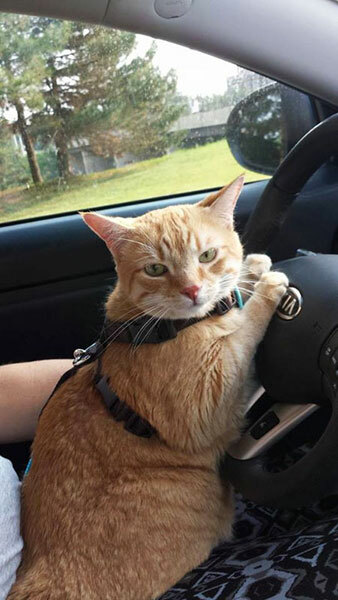 We thought we’d share it with you in the event that you might need to travel or move with cats in a car. 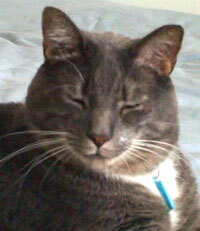 Teri Our Customer: You’ve been so very helpful to me and how to care for litter box problems, etc. – so I am turning to you again for some assistance. I am preparing to move and I would like to get a plan for my three cats. We will need to be in a car for 8 hours. I’m trying to get a plan in my mind so I can get supplies needed within the next several months. I need to budget for this. Would appreciate your kind suggestions and helpful hints to make this trip as easy as possible for my cats and myself. Cat Faeries: Congratulations on a big move! Will you be the only adult human in the car? If so, when you stop to pee or eat you must keep your eye on the car at all times – we’ve heard tragic stories of cars and campers being stolen with cats inside! Be cautious at rest stops and gas stations. Cars and campers have even been stolen in parking lots with meters. If you are with another adult, one of you should remain in the car or stand outside of it while the other runs the errand. Teri: I’ll probably be alone. What should I do when I need to use the facilities? Cat Faeries: Check this out! http://www.go-girl.com/ We know someone who has one (she’s MAJOR phobic about public toilets) and she likes it. She sort of enjoys telling people she can pee while standing! You’ll want to practice in advance as it takes a bit of getting used to. Teri: I have good size kennel/carriers for each cat and I saw that you have pads. Cat Faeries: The waterproof pads are great. Pre wash them to soften them up a bit (they’ll absorb better). Double them up so that if the top layer is soiled you can quickly remove it and there’s a clean layer below. 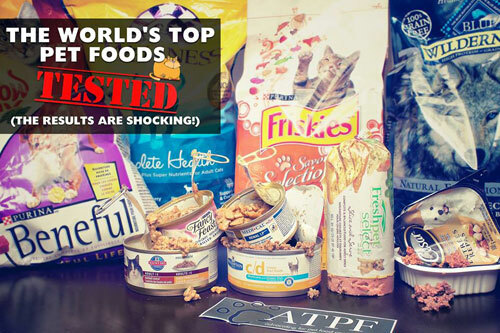 However, even if the pad has been urinated on, it should dry, and you may find that leaving the cats undisturbed in the carrier/kennels is best for all of you. The pads can be quickly and easily folded to fit inside the carrier/kennel. Teri: Would I use the Feliway to spray my car and in the kennels? Cat Faeries: Yes, that would be ideal. You’d spray the pads 15 minutes before you place the pads and the cats in the carriers/kennels. Give each pad 4 squirts. After a few hours, when you stop the car to freshen up you can spray it in the air towards where the cats are kenneled. Teri: I am concerned with their peeing, etc. due to the long hours traveling. Cat Faeries: They will pee at some point, and they may poop, although they may hold that one. Invest in a smallish litter box for each carrier/kennel. You don’t need to put as much litter in them as you do at home. We don’t want to see soiled cat litter flying around the car if you need to brake hard and fast! Lastly, music is really important because the right music can be very calming to you and the cats. We recommend avoiding talk radio, rap, 80’s metal, and loud banging anything. If your vehicle doesn’t have a CD player or if you don’t have something like an iPod – sing! Even if you sound like a flock of crows, sing anyway. It will keep you awake and alert, and the cats will enjoy hearing your voice. Can’t remember the lyrics? Go through the alphabet and sing the name a vegetable for each letter (A = asparagus, B = broccoli etc). It’s a fun thing to do during any mundane task, like doing dishes. After you’ve done vegetables come up with old fashioned people names which you think would be cool for a cat and sing those! Drive carefully, and let us know when you’ve arrived in your new home! One of the most frustrating feline medical conditions is when our cats over groom, or self-barber. This means they are licking or biting at their fur until bald spots form, and in severe cases bleeding. We’ve tried, and failed at, creating a flower essence formula that would work for all cats who do this. Veterinarians give out drugs but from what customers tell us, they don’t work and in some cases can make it worse. And most people don’t like giving their cats drugs like this, which we understand completely. We once had a bunny who did this. It was when we gave her less freedom and confined her to her cage more than letting her roam with the other rabbits, she stopped barbering and her fur started to grow back. I’ve never forgotten that and wondered how something like this could help cats. Recently we received a photo from someone who wanted us to post her cat to Facebook and Pinterest. The cat was wearing a shirt and the person who submitted it said the cat wears it to help with his anxiety. We assumed that the snugness of made the cat feel secure much like Holly the bunny felt so secure being in her cage rather than being free ranging and thus the self-barbering could stop. Snugness. There are therapies for children and adults with blankets and hugging that help a variety of emotional conditions, so why not a sweater or a jacket for a cat! This was such a fascinating theory and solution that we asked our feline friend Newton (who knows everything) to investigate. And this is what he discovered – including a jacket that you can purchase for a cat who’s going overboard with grooming. Fellow cats: Have you ever heard your person say, “I was so upset I was pulling my hair out”? Hmmm. It sounds rather painful and I can’t imagine it would solve any problems. But people do say strange things when they are angry or stressed. Although we don’t have the pressure of bringing home a paycheck cats get stressed too. By nature we are curious and enjoy intellectual stimulation, but we do value the comfort of basic routines in our daily lives. Change that persists longer than a visit to the vet can really upset our emotional balance. Examples of stressful situations range from a change in kitty litter to moving across country. A new addition to the family (animal or person) or loss of a beloved companion also increase stress and anxiety. The pet parent is generally unaware of the damage Fluffy is doing to herself until it is painfully obvious. Stressed cats often hide and do their excessive grooming in private. This is one reason to do regular exams on all your cats to detect problems in their early stages. What should be done if hair loss is discovered? 1. Rule out potential health issues such as skin diseases, parasites or allergies. 2. Determine the source of the stress. 3. Modify the environment to reduce or eliminate the stress. Well known stress relievers include Feliway® http://www.catfaeries.com/feliway.html, flower essences http://www.catfaeries.com/essences.html, calming music http://www.catfaeries.com/music-for-cats.html, and environmental enrichment. Another nonpharmaceutical therapy (for animals and people) now widely used is touch. Here are some examples I’ve been reading about. The centuries old practice of wrapping fussy infants in swaddling cloths is still practiced today. Some say the pressure simulates the comfort of being safe in the womb. Pressure and weighted vests help relieve anxiety in autistic people. True, the idea of using pressure to calm cats is relatively new. Many veterinary clinics use a technique called the “kitty burrito”. A nervous cat is firmly wrapped in a towel for examination of a small exposed part. Clothing a cat would wear on a frequent or daily basis is harder to imagine. Actually, the term “shirt” is a bit misleading. The ThundershirtTM looks more like a thin lifevest. Cats are more sensitive to touch than dogs. The first time wearing the shirt they may freeze or even lie still on their sides. As with any new thing Fluffy needs a gradual period of adjustment to different sensations. No single method is guaranteed and you may find that a combination is required. Patience and experimentation with the examples I’ve given will help you to discover what works best to reduce Fluffy’s anxiety and restore her fur coat.